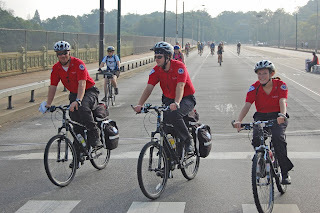 Temple's Bicycle EMS Unit on the job on a very hot day. Seriously can we get them summer uniforms? Thanks to all the First Responders who made sure that this year's ride was a safe one.